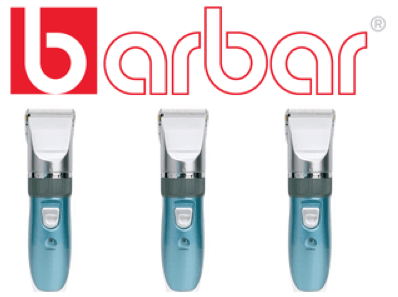 Welcome to the Barbar Professional Clippers Giveaway! "What an amazing treat we are going to present for you and your Valentine! Barbar professional hair tools has provided our fans with this opportunity to win 3 Barbar 180 Clippers. That's a treat! You probably have that issue when you need to do a quick shave and cut for your loved ones. You're probably getting creative using shaving kits and scissors! But nothing beats a professional hair trimmer like Barbar Clipper. With its four different blade interchangeable attachments of 4mm, 6mm, 9mm, and 12mm, you'll be amazed how well-equipped you've become for any type or length of hair. If it is a quick trim for your toddler or a serious hair cut for your hubby, you'll handle it all with this high-capacity clipper! And no, you won't be bothered by the annoying sound either. Barbar has implemented its better sound designing technology into this hair styling tool." With 3 chances to win you have some pretty great odds, so don't miss your chance! Open to US, 18+ only. Confirmed Winners (by Random.org) will be contacted by email. Winner(s) have 24 hours to respond before a new winner is chosen. No purchase necessary. Void where prohibited by law. The sponsor(s) will be responsible for product shipment to the winner(s) of this giveaway. Celebrate Woman Today is not responsible for product shipment/delivery. This event is in no way administered, sponsored, or endorsed by, or associated with, Facebook and/or Twitter, Google, Pinterest. I received nothing in exchange for this post. Rats and More is not responsible for prize or prize shipment. I would love to have the Barbar Italy 4800 Ionic Blow Dryer in Black! BARBAR 1200 Tourmaline Curling Iron, 1 1/2"
Would like to have the BARBAR 1200 Tourmaline Curling Iron. I'd love to have the BARBAR Ceramic ECO 8000 Blow Dryer. I'd like to have the BARBAR 2500 Ceramic-Ionic Flat Iron 1.5"
I'd love the BARBAR 2200 Titanium-Ionic Flat Iron 1"! I like the barbar 1900 tourmaline flat iron combo. Thanks for the chance. Another product I like is the BARBAR 1900 Tourmaline Cordless Combo.